Governor Scott Walker approved a $2 million emergency grant for repairs needed at the S.S. Badger landing at the Manitowoc dock as a result of damage from last winter. Temporary repairs served for this year’s operating season but a long-term repair is needed for safe and reliable ferry docking and berthing. The dock is owned by the city of Manitowoc and the S.S. Badger leases the space. The cost of the full project is expected to be $3 million. The S.S. Badger is one of the state’s six ferry services. This National Historic Landmark provides 4-hour passage between Manitowoc, Wisconsin and Ludington, Michigan. It can accommodate passengers, autos, recreational vehicles, tour buses, motorcycles, bicycles, and commercial trucks. Created in 1979, Wisconsin’s Harbor Assistance Program helps harbor communities maintain and improve waterborne commerce. Through 2015, the Wisconsin Department of Transportation (WisDOT) has administered over $121 million in matching funds for more than 99 port preservation and improvement projects along the Great Lakes and Mississippi River. 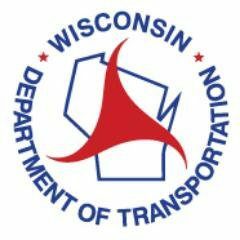 For more information about Wisconsin’s Harbor Assistance program or to review past grant awards, visit the WisDOT website.